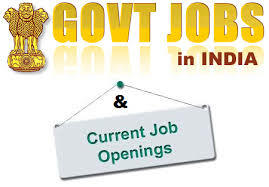 Food Corporation Of India(FCI), one of the largest public sector Undertakings dealing with Foodgrain Supply-Chain Management, intends to recruit category-IV personnel as Watchman for positioning in its depots and offices in the State of Tamil Nadu. Educational Qualification: The candidates should be of Middle School Passed(Min 8th class pass). Age Limit: 18-25 years as on 01.07.2017(Age relaxation will be as per GOI rules). Vacancy: Total no. of posts are 55(SC=10, ST=01, OBC=15,UR=29). b) Application can be made in online mode only. The last of applying(online mode) is 08.08.2017.The candidate has to fill all the details online and upload all relevant documents in support of his/her candidature.